We've arrived just in time for sunrise. 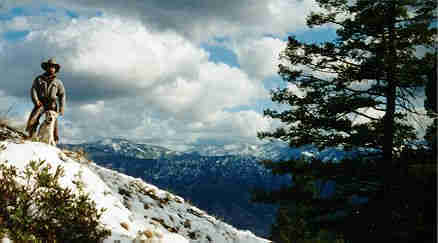 Snow in some of these mountains stays year 'round. We've walked to a lower elevation. 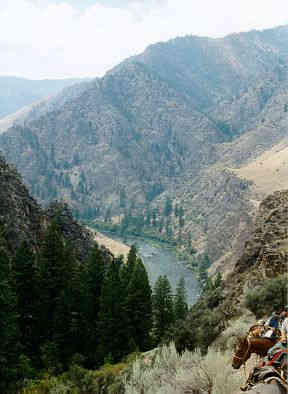 This is the Salmon River Canyon. What a view! 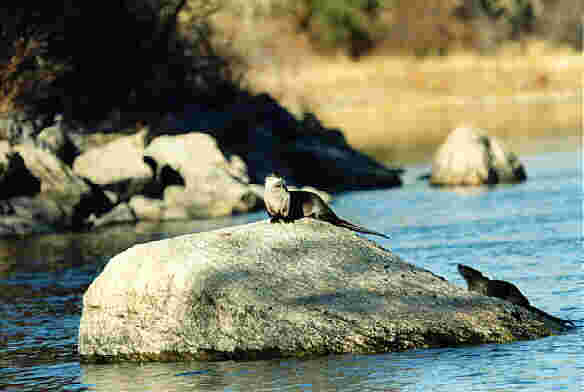 These fun-loving river otters are sure curious about us. They're not particularly afraid of humans, but I don't believe I'd try to walk up and pet one of them. 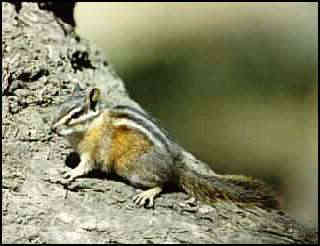 This is the River of No Return Wilderness area. "Hey, fella, be careful up there. It's a long way down." 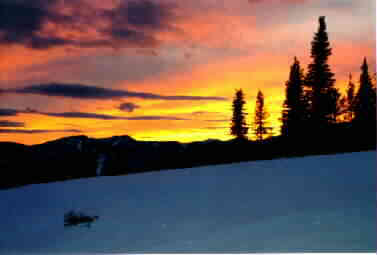 Positioned on the southern fringe of the largest expanses of wilderness left in the continental United States, Sun Valley's surroundings are unmatched. 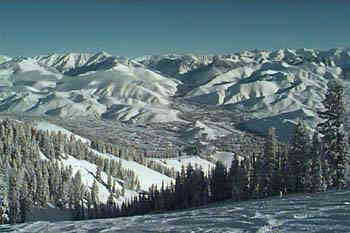 The above photo shows Wood River Valley and the town of Ketchum (hard to see in the distance) from atop Bald Mountain. What a lovely scene. 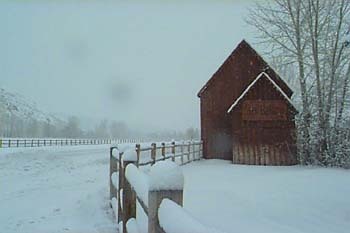 An old barn on Sun Valley Road. Sure hope you're all dressed warmly. 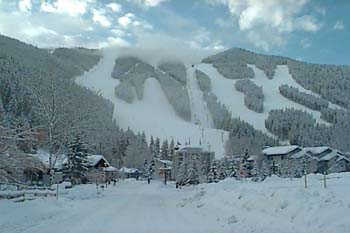 This is the Warm Springs area of Bald Mountain. Doesn't look too warm to me. 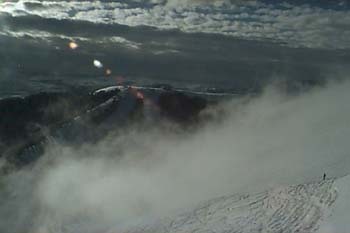 This is Seattle Ridge seen from the top of Bald Mountain. 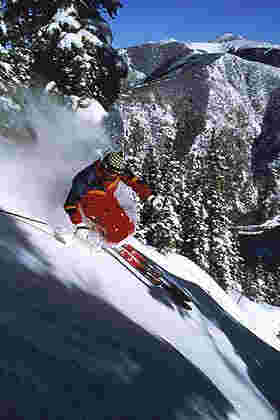 Sun Valley offers a myriad of adventures, but is probably best known for its fantastic Alpine skiing, considered by many to be the best in the world. Wow, what a lovely place. Kind of humbling, isn't it? 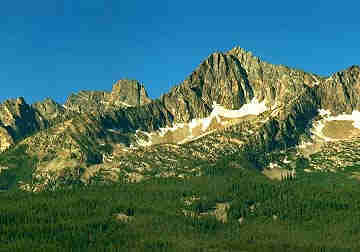 The Sawtooths are divided into a designated wilderness area and a National Recreation Area. Guess what? Mechanized travel is forbidden. I think our Chevy is getting lazy. It's worth the walk. Got your hiking shoes on? Let's go! 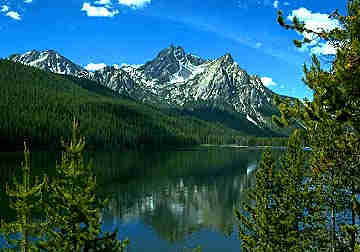 It's easy to see how the Sawtooth Mountains got their name. There are many trails leading through valleys, into the mountains and to the over 300 Alpine lakes inside the wilderness. Now, here's the way to see the Sawtooth Mountains. 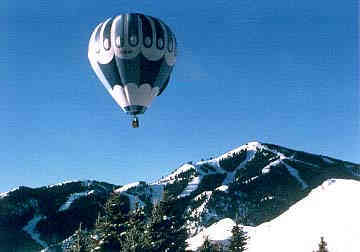 Anyone for a balloon ride? One last peek before we leave the area. I've come to the conclusion that Idaho is a photographic masterpiece. I believe the Chevy has rested enough now. Let's everyone climb in, and put it to work. It won't tell us where we're going next. 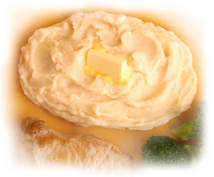 I stole this bowl of mashed Idaho potatoes right off Joe's table. (tee hee) Just click on them and let's go!